Hair loss is the most common medical problem faced by men, so much so that it affects about 50% of them. Hair loss is often thought of as a sign of old age, unattractiveness and hence low self esteem. Baldness in men is most often due to hormones and thus called ANDROGENIC ALOPECIA or MALE PATTERN ALOPECIA. Early on, the hair follicles become thinner and weaker (miniaturization). Gradually it proceeds to permanent hair loss (baldness). Hair in the front & top of head are genetically more susceptible to hormones, and are thus shed (Alopecic/balding zone). Whereas hair on the sides & lower back of the scalp are genetically immune to hormone sensitivity and are thus destined to grow for lifetime (permanent zone). Follicular units are bundles of 1-4 hair which grow together as a physiological unit. To grow optimally, they need to be transplanted as an intact unit. Here in lies the fundamental concept of Hair Transplantation: Transfer hair from the permanent to the balding zone while maintaining the integrity of Follicular units. What are the different types of Hair Transplant procedures? 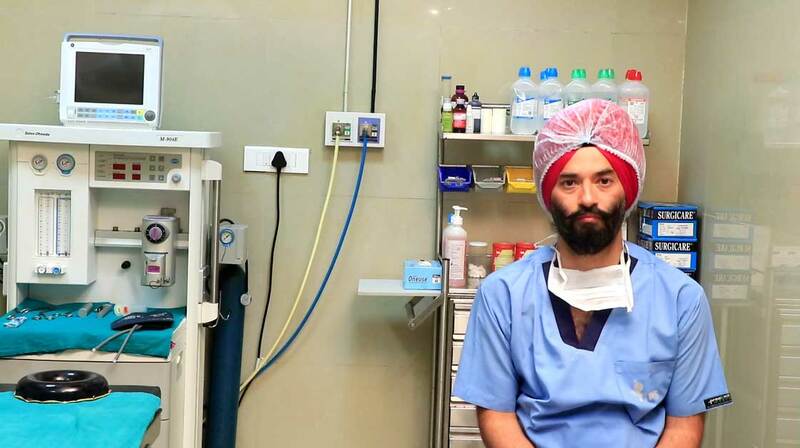 FUE: This is the latest technique for Hair transplantation. In this method the hair are extracted as well as transplanted as individual follicular units. The patient is asked to lie in a face down position and required number of hair is extracted. No sutures are used. Recovery is very fast and the person can resume normal activity in a few days. STRIP Harvesting: Here we take a strip of hair bearing skin about 1 cm wide from the permanent zone. This is then dissected into individual follicular units under magnification. Implantation: The method used to introduce hair into the bald areas is the same in both the techniques. First the hairline is marked and then holes are made to accommodate the follicular units, which are then inserted as atraumatically as possible. Post op regime: The patient goes back home the same day. Those with mega sessions may stay overnight. Many of the transplanted hair will be shed off in the first few weeks. New hair growth starts in 1.5-2 months and is complete in about 9 months. The transplanted hair doesn’t need any additional care, and can be cut, groomed as may be desired. FUE Hair transplantation is the only technique which gives a natural result in persons with baldness. Since the transplanted hairs belong to the same individual and no foreign body is inserted, there are no side effects or late sequels. 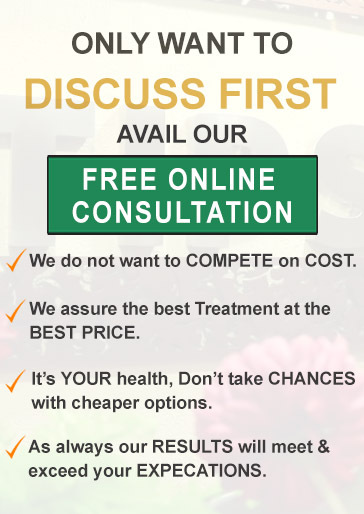 Planning to get Hair Restoration in Punjab done? If you are worried about thin hair growth, massive hair fall, or the bald scalp that is making you look older, opting for Hair Transplantation is a smart move. It is however, imperative to choose a qualified cosmetic surgeon with good experience in Hair Transplants. You can also go over the reviews from different Hair Transplant patients who have undergone the procedure to learn about the results they got. This contemporary technique coupled with the expertise of a proficient cosmetic surgeon can provide you with an optimal solution for your hair restoration needs. 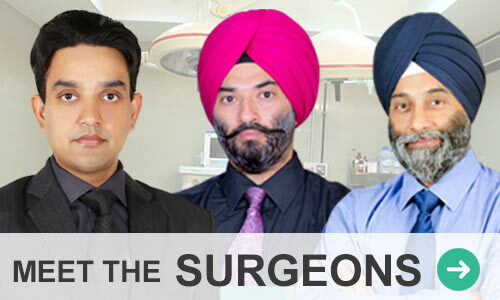 TIPS is certainly the option that any individual looking for hair transplant would go for. This is owing to the fact that the faculty & facilities at TIPS match the best of the best in this field. The first step for you would be to contact us online or call us. Be assured that all communication between you & us will be highly confidential & your privacy is totally safeguarded with us. People looking up for Hair Loss treatment in Chandigarh, Punjab, Jalandhar, Patiala, Amritsar, Delhi etc, TIPS offers them the best services at economical rates.